3D scan of Please Enjoy a Drink Fresh from the Mountains. Can be navigated as a virtual environment with VR glasses or clicked through without. 3D scan to be used in future iterations of the project. (left) Installation detail (right) Installation detail showing water bubbling up through the floor from basement level of the installation. Please Enjoy a Drink Fresh from the Mountains, 2018. (left) Installation detail of sculpture in basement level of the installation that pumps water to the ground floor (right) installation view of basement level. 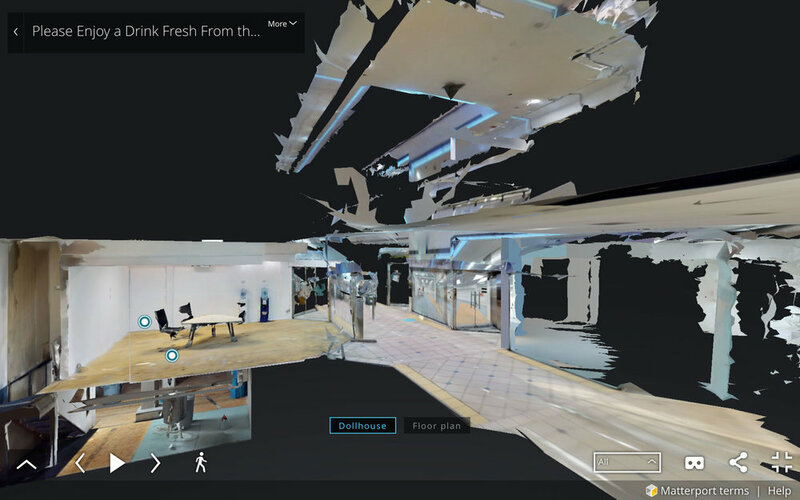 Screen shot of 3D scan of the installation that can be navigated using VR technology. 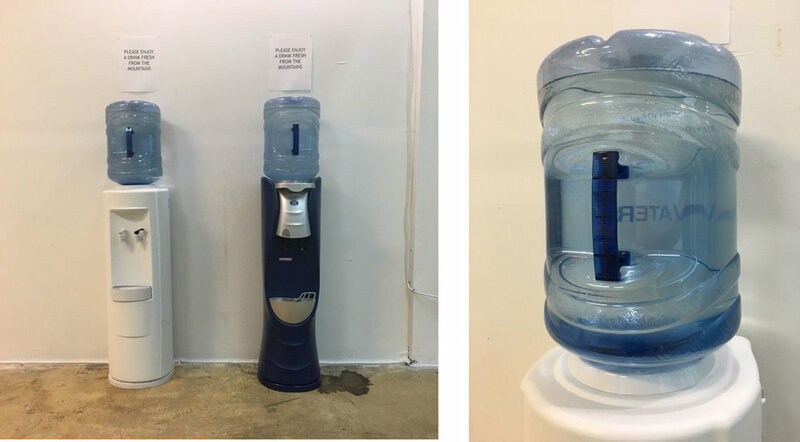 Please enjoy a drink fresh from the mountains is a two-level installation that features water bubbling from the floor, filling a corporate board room-like setting, with a sculptural interpretation of a still in the basement below. The project explores water-related environmental concerns and structures of power and class as they relate to land.